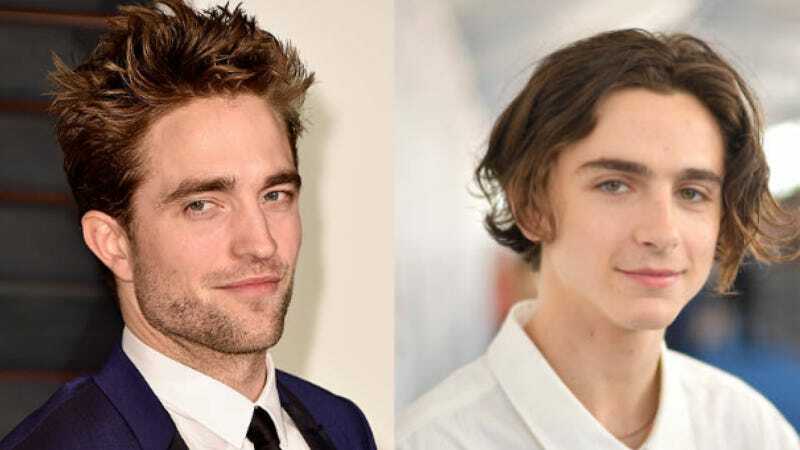 As destined, Twilight heartthrob vampire Robert Pattinson will share the screen with Call Me By Your Name star Timothée Chalamet, the perfect celebrity crush mashup for people between the ages of 17 and 65. The plays take place before, during and after England’s military conflict with France at the famous Battle Of Agincourt in 1415, part of the ‘Hundred Years’ War’ between the two nations. Joel Edgerton will play Falstaff, and Chalamet’s love interest/arranged-marriage wife, Princess Catherine, will be played by Lily-Rose Depp. This will be Chalamet’s first starring role since he made sweet love to that peach. May Pattinson give him the guidance he needs through the tempestuous waters of youthful fame.